Learn how to properly clean goose down bedding in order to protect your luxurious bedding investment for years to come. Goose down bedding needs to be cleaned from time to time, but cleaning it properly so that you don’t damage the material is key to ensuring that your down filled bedding accessories last a long time. One issue that makes a difference in how well down filled bed products hold up to periodic cleaning is the quality of the items. Usually, better made down mattress toppers, down mattress pads and washable down comforters, for example, will clean better than cheaper down bedding items, simply because of the quality of fill material, baffling designs, and type of fabric used for the covers. You will almost always be more pleased with a high end down topper, for example, than a cheap down mattress pad. Of course, it doesn’t mean you have to pay top price for high quality. 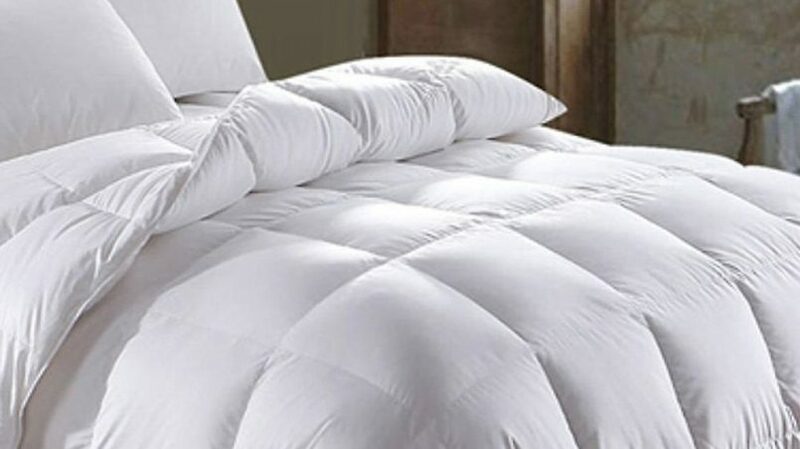 It just means that you need to shop around for discount prices on high quality goose down bedding. You are likely to find just what you want for much less than retail price. Once you’ve purchased your down bedroom accessory, how do you clean it? Here are some tips that can help you clean your bed toppers, goose down duvets, down comforters and other bedding items that you use often. 1. First Read The Included Cleaning Instructions. 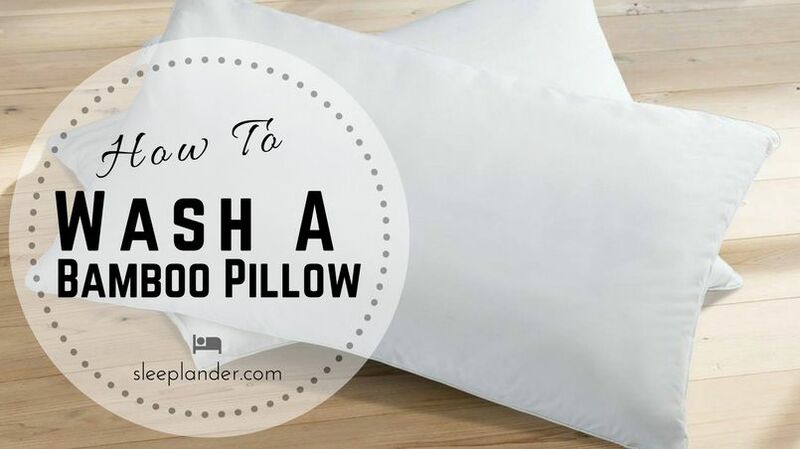 Many goose down pillows and other bedding come with specific cleaning instructions that are appropriate for each item. Many times, manufacturers suggest to simply send the item to the dry cleaners. While this certainly can be done and is perhaps the easiest for many people, there are a few things to consider, if you do this. First, you will have to pay a good bit for this service. You may need to do this a few times a year, so you can imagine the cost of doing this several times a year. Secondly, you will necessarily deal with the chemical fumes that are left after the cleaning process. That means you will also breathe it as you sleep until it degasses. For some people, this is not a healthy option. Thirdly, you will have to set aside time to run the item to the dry cleaner’s, pick it up and drive it back home. This takes time, money and extra energy. Keep in mind that even though a lot of manufacturers suggest that you clean your down filled bedding through professional dry cleaning, you can actually clean your bedding yourself. 2. Before cleaning yourself, be sure the bedding is a quality product. Remember that better quality down bedding products hold up better when cleaned at home if you choose not to use a professional cleaner. This is due to the better type of fill material, superior construction and better quality fabric covering. If you have a cheap bed topper or a poor quality colored down comforter, for example, you may not be so pleased with how it holds up after you clean it. On the other hand, some people just as soon clean a cheaper down topper at home just in case it doesn’t hold up well. That way, they haven’t lost a more expensive investment in better quality toppers, comforters or duvets. Just use your judgement on how you want to clean the particular type of a down bedding product that you wish to clean. 3. Instructions on how to clean goose down bedding products. Choose a very mild, liquid soap. Do not use heavy, scented soaps or detergents that are in powder form. Only put a small amount of soap into the washing machine. 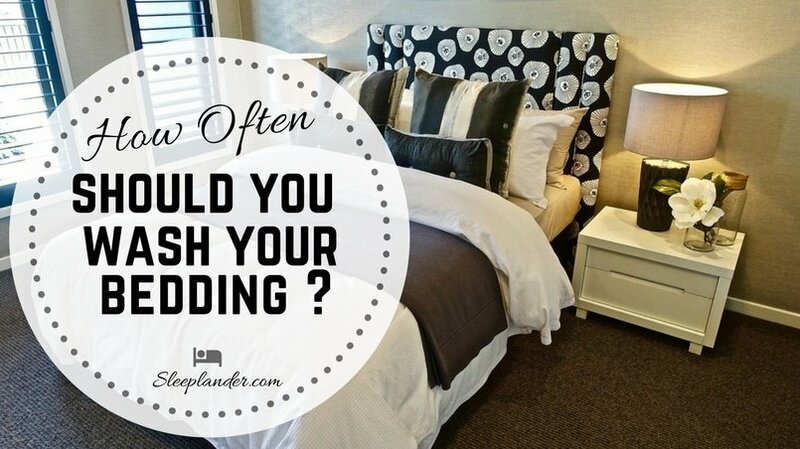 You should never leave any soap residue on down bedding after washing. You may need to rinse more than once. Wash the down comforter, duvet or bed topper in a very large washing machine so as not to bunch and compress the item any more than necessary. Put the topper through the spin cycle 2 or 3 times to make sure you remove as much water as possible before drying. Dry it in a moderately warm dryer. You may need to dry it through several drying cycles to make sure it is completely dry. If you don’t dry down filled bedding items properly, they can tend to develop a musty smell due to small particles of mold that will form inside baffling. If it’s a nice summer day, you can even hang the bedding accessory on the line in the sun for awhile after your drying cycles, just to make sure it is dry. Have you ever wondered if you can actually wash a goose down comforter in a washing machine? If so, here’s your answer! Watch video instructions. Of course, success depends upon a lot of things such as quality of your washable down comforter, type of washing machine you use, how well you dry your down bedding and type of detergent you use. However, yes, it is possible to successfully clean a down comforter in a washing machine without having to have it dry cleaned. 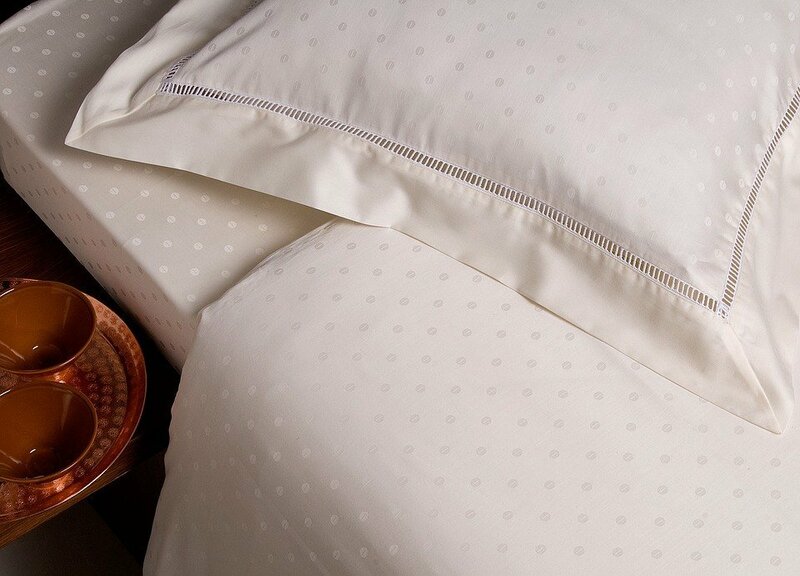 Quality – The better quality your comforter, the better they hold up when cleaned. 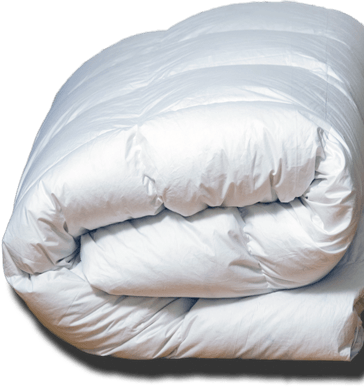 The best down comforter, covered with high quality cotton covers and stitched in a baffle box design tends is a better quality goose down bedding product. Low quality products such as colored down comforters, are usually not good choices for washable bedding. Washing machine – As you’ll see in the video, in order to properly wash a down comforter, you will need to use a commercial size washing machine. Most likely, you’ll need to go to your local laundromat to do the washing, since they have commercial size washers that simply spin and do not agitate when washing. Detergent – A very mild detergent, applied very sparingly is best. Drying – Again, as you’ll watch in the video, it’s best to use tennis balls along with your comforter in a large dryer. This will fluff the fill and keep it from clumping and not drying as it should. For instructions on how to wash a down comforter, take a look at this instructional video with professional house cleaner, Rachel Yatuzis. You’ll see first hand what type of washing machine to use for thorough cleaning and how to properly dry your goose down comforter. Remember that down fill or feathers tends to clump and compress when the material absorbs water, so it is necessary to dry well and fluff after drying. If you have nice, tightly baffled designs on your bedding it will more likely hold up to this home cleaning method. Even though you have to be careful, many people prefer to know how to clean goose down bedding themselves not only to save money, but to enjoy a fresh, healthier bed accessory while they sleep. How do I get my Bamboo Pillow to Fluff?